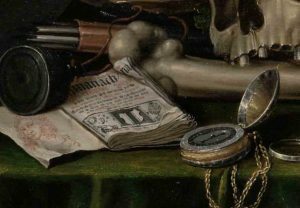 The object-poem conference will explore the presence of things and the representation of objects in a broad manner, from the antiquity to contemporary poetry. Objects have been present in the oldest known poetry (e.g. Homer’s shield of Achilles). In modern times, the thing-poems appear in the works of post-symbolist, modernist and avantgarde poets. German critic Kurt Oppert addressed this penchant in 1926 when he coined the term Dinggedicht (object-poem, thing-poem in English) to label poems by Eduard Mörike, Conrad Ferdinand Meyer or Rainer Maria Rilke, and equally to contrast “an opposing type of poem based on non-personal, epic-objective description of certain being” with the prevalent subjective, experiential lyricism. This term was established and gradually came to designate the works of a number of other poets, such as the French poets Francis Ponge and Jean Follain or the American poet William Carlos Williams. The conference “Things in Poems – Poems of Things” aims to map the phenomena of things and objectivity within poetry from Antiquity through the present while reflecting on the philosophical concepts at hand as well as other art forms. things and objects in poetry, visuality and fine art.